We now offer a complete collection of fine area rugs to the general public at close to wholesale prices. Why pay retail prices for fine carpets? Why be harassed by a rug merchant while browsing for carpets? Come visit our rug warehouse showroom at 508 N 24th Street here in Phoenix. Our prices are fixed at no nonsense amounts, and we’ll assist . . . but only when you request assistance. showroom is like being in an art museum. Luxurious hand-made carpet artifacts from around the world are displayed in a no nonsense warehouse atmosphere. People come from all over the Scottsdale and Phoenix area to marvel at our huge collection of one-of-a-kind rugs and carpets from around the world featuring original designs and gorgeous color combinations. No matter what your decorating style, you can find a carpet to enhance your decor in our store. And of course, we deliver too! Questions about whether a specific size and type are in stock?? Call now at 602 244 9329. McFarland’s Carpet Service has been family owned and operated since 1947. We offer the most comprehensive fine rug and carpet cleaning and rug repair and restoration services in Phoenix and throughout the valley with over 60 years of expertise and experience.The company is still owned by Mike Manguso and managed by his grandson, John Mondotte, along with qualified team members. We are involved in every aspect of the day to day business. Our livelihoods as well as a significant portion of our equity is invested in the company, making us committed to providing the highest level of service to each and every customer. All our cleaning and restoration services are performed on-site here in Phoenix AZ, and we are involved in managing all aspects of these processes. We personally train all apprentice technicians, and ensure that each one of them is fully qualified before we allow him or her to touch an expensive rug. We also man the close to wholesale rug sales warehouse, so don’t worry about meeting a pressure salesperson. If you’re looking for fine rugs sold directly to the public, including Persian, Navajo, Oriental, Turkish, Pakistani, and Chinese rugs, then come browse our warehouse showroom at 508 N. 24th Street. Ask to take a tour of our cleaning and repair facilities if you wish. For more information, or to receive a Quick Phone Quote for cleaning or repairing your fine rugs or carpets, please phone us at 602 244 9329. Take a look at what our customers are saying about us by visiting our Testimonials page. For additional valuable information on our available rug products and services check out our rug products and rug services pages. Still not convinced? Here’s why you should use us for all your carpet and rug needs. 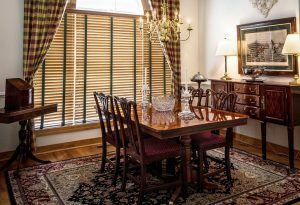 For an immediate online estimate to have your rugs professionally cleaned by our expert staff, please visit our Online Rug Cleaning Estimator, or if you need repair services, such as rug binding, surging or fringing, be sure and get an instant estimate from our Online Rug Edging Estimator. If you’re looking for rug padding or backing services, we do that too! Just visit our Online Rug Padding & Backing Estimator to get an immediate price. We also have a large inventory of exotic, unique, high-quality collectible rugs with new ones being added every day. Be sure and browse our Online Rug Store for current rugs for sale. Check back often as new ones are added daily! Still have questions, or like to schedule an appointment? Feel free to chat with us online by clicking on the small blue circle in the lower right corner of this page, or contact us through our online contact form. 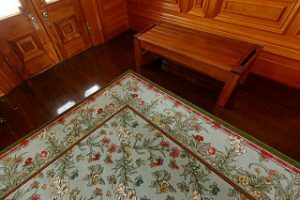 If your question is about how to remove a rug stain, try out our Online Rug Stain Removal Lookup Tool for step by step instructions on how to remove just about any type of stain from a rug.